First - I wish you a most wonderful and Happy Birthday. May your day be full of love, friends and hugs! Congrats on your 1000th post - that is quite a milestone. I am already a faithfull follower. I am now a follower....have actually been following you for a while, but now your blog is listed on my blog as one i am following :)....it's official! Congrats Lori! I thought I WAS a followerer since were facebook buds,,,what was up with that! So, I'm following now and I posted it on Facebook. I'll also do a little blog giveaway heads up! how wonderful! i am a follower already! happy birthday! i see you are reading the girl with the dragon tattoo...my girlfriends and i went to see the movie over the weekend...intense but good..the actress they cast as lisbeth was perfect...can't wait for the 3rd book! HAPPY BIRTHDAY, MISS LORI! I hope your day is as special as you are. Congrats on the 1000th, too...quite an accomplishment!! I lerve those brown earrings. Yum!! Happy Birthday Lori!! I hope you have a super fantastic day! And congrats on you 1000th post! What a super milestone!!! A very Happy Birthday, Lori, and congratulations on 1000 blog posts. I follow you and have posted on my blog about your birthday and blog posts. Keep up the good work, I love your creativity, you are an inspiration to all of us. You have just inspired me to make miniature candles for my miniature cakes! For your birthday, *PLEASE* tell me what your favorite cupcake flavor and topping is!!! I will make it for you, in charm form! I'm already a Follower but just Tweeted about this! Congrats on this huge milestone...wow, 1,000 posts??!!! You're amazing. Congratulations on your 1000th post and Happy Birthday! May you be blessed with many years of happiness, inspiration and love! I am a follower of your blog, not a new one, just a quiet one (i don't usually leave comments). Hi Lori, Happy Birthday! Today is Passover for me so I won't be able to write a blog post as I'm getting ready for tonight but I will go tweet it and I am a follower. I think I'd like the grab bag, I always have so why change now? :) Best wishes for a great day and congratulations on your 1000th post! That is a big milestone! Happy Birthday Miss Lori!!! you're so fabulous and I hope you have a fabulous day! Happy birthday again. 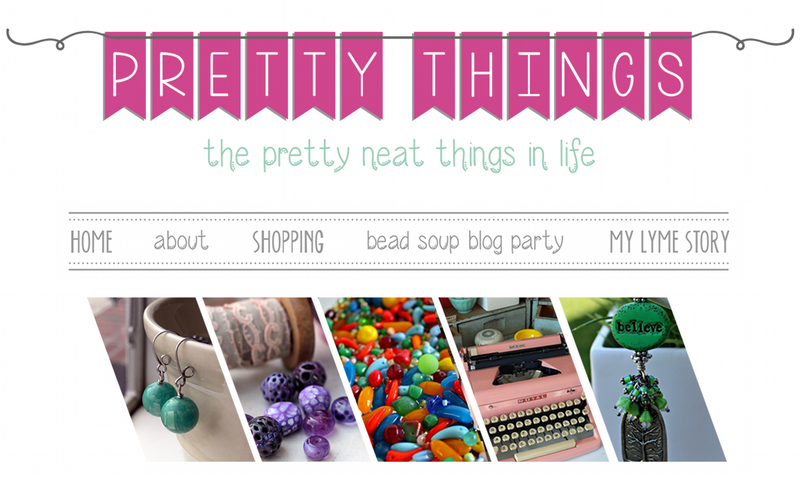 I will blog about your birthday giveaway. 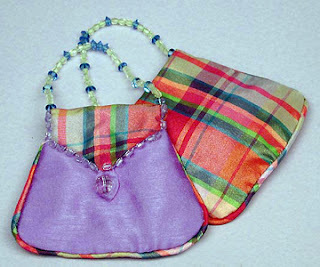 I would love the bead bag. Happy Birthday. I am a blog follower and jewelry designer. If I am lucky enough to win, I would enjoy a bead grab bag. 1000 Blogs is a lot of blogs. Happy Birthday Lori! I just had one last Thursday so I'm still celebrating to a degree. I'm also already a follower. Congrats on your 1000th Post! Happy happy happy birthday! I sure hope it's wonderful! And, your birthday on your 1000th post (wow!) How did you manage that?!! I'm a frequent follower as you know! Happy, Happy Birthday! Hope it is a fabulous one! I am already a follower...you are on my blog list as well! Congratulations on your 1000th post...woo hoo! Hopefully, I will get to that point sometime on my blog. And I hope you have a wonderful birthday as well! I am already a follower of yours and have a link to your blog on mine. 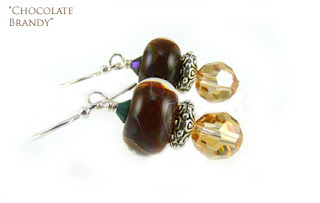 I am hoping to win the Chocolate Brandy earrings...they are beautiful and since I wear brown a lot...they would be perfect. Again...Happy Birthday! Congratulations on your 1000th. 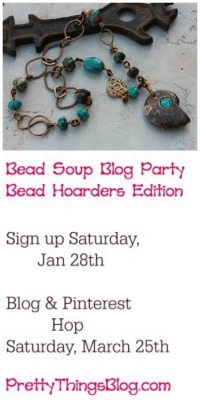 I have been a follower since the bead soup party, got your blog on my blog too. Love your posts. Thank you for introducing me to a whole new world of beads and beaders... and some day I will work on your book recommendations. 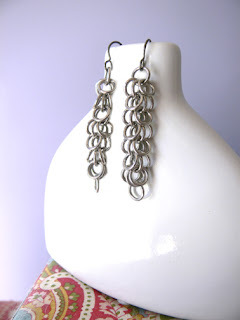 I am a follower of your blog.I would love to win oen of the earrings if I were to win. I am an earing fanatic. HOpe you enjoy your day. I am also a friend of yours on Facebook. I posted a link for your 1000th post on my FB fan page and on Twitter. Congrats! Lori - Wow - you make serious beautiful jewelry! I love the earrings that youare giving away as a prize - so me! Your blog is a lot of fun - I love the fact that I can relate to so much of what you share ---. I have a kindle also - love it! The Pillars of the Earth - I have it on audio book - was sort of afraid to listen to it - intimidated , I think - but not now after reading your review - thanks for that! Thanks for dropping by to see me - I so appeciate your comments- really - you made me feel just wonderful! Happy Birthday to a fellow Arian! Hope you eat lots of cake and blow your party horn! Congratulations. Happy Birthday this way too. And I am so happy for your milestone. Hope you had a wonderful bday! I tweeted about your blog. Congratulations on your 1,000th post. I'm approaching my 100th and having a giveaway too. 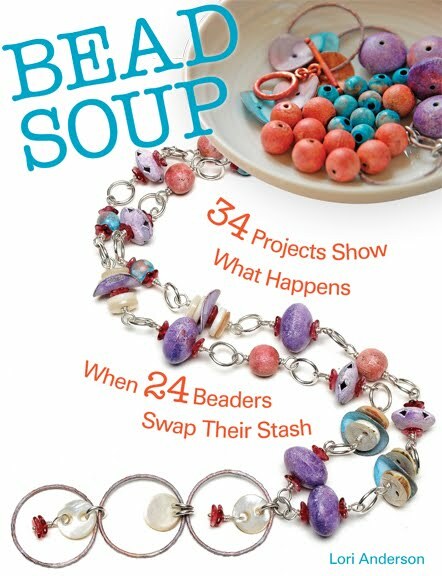 I became a follower on your blog, though I have been following you unofficially since you started the virtual bead soup swap. If you pick my name, I'd like the beads in blues and greens, please. Congrats!!! 1000 is a huge accomplishment! I *LOVE* the Chocolate brandy earrings. I'm a friend on facebook, and now a follower, too! WOWZA! CONGRATULATIONS & A BIG HAPPY BIRTHDAY GIRL! Luv your stuff-already a follower-luv LUV all your WORK and gonna run tweet this too! Oh boo...my post didn't go through. So I guess I'll have to say it again. Congrats Lori - on all the wonderful things in your life. Wishing you an abundance of more. Of course I am a follower..and also your blog is one of my top favorites. I found you on Tatertots and Jello. Very cool stuff! The chocolate earrings are adorable. I'm adding you to the blog roll on my site to share. Aw...sweet. It's nice to hit a fat, round number like 1000. I just became a follower. I dunno how you came across my blog, but thank you for your sweet comment. Congratulations on your 1000th post-- how long did that take? It would take me forever- Now I have someone to look up to and keep me going 'til one day I make that 1000th mark too. Happy belated birthday and congrats on post 1000. Wow! WOOT WOOT, congrats on your 1000 post!! That and Happy Birthday! I am a follower. I'm officially a follower now :0) - Hope you had a wonderful birthday and congrats on your 1000th!! Happy Birthday to you!!! Wow, 1,000ths--congrats! I am already following and love your blog! Hugs and best wishes. Happy late birthday! I'd love a chance to win something in your giveaway. As you know I am a stalker, er, I mean follower. Congratulations on 1000 - awesome! Best of all Happy Birthday. Hope your day is very special. I am a follower. I subscribed! Congratulations on 1000 posts...I can only hope to come close to a third of that for this year! Happy Birthday Lori:D I hope this one is the best one yet! Congratulations on your 1000th post. That is just amazing! I am already a follower and if I happen to win your give away I pick beads! Hi Lori, congrates on your 1000th post, wishing you many more. I've got your blog on my bloglist but I followed you to make it official. And what I would love to win is BEADS, yah! I tweeted for a second chance at the prize, thanks for sharing. 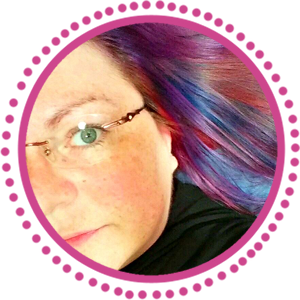 Hi Lori, I just became a new follower (hope I haven't already done that, not too handy on these things) but it's an opportunity to say what a great blog you have and your giveaways are irresistible! thanks for being generous. Sharon M.
Happy Birthday! I hope you have a fabulous day, weekend, week, month! I make sure to celebrate all month. I have been a follower of yours and loving it. I would be happy to win anything of yours but would LOVE a bead. Congrats on your 1000th post!! I follow your blog and I've posted about it on mine. Happy Birthday!! I am way too late but I wanted to wish you Happy Belated Birthday Lori.